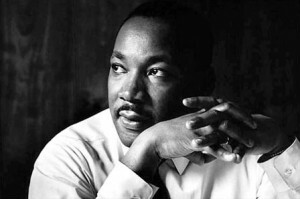 The United States officially observes Martin Luther King Jr.’s birthday for the 13 time today. Although Ronald Reagan signed the holiday into law in 1983, and it was first observed on January 20, 1986, some states resisted observing the holiday as such, giving it alternative names or combining it with other holidays. It wasn’t officially observed in all 50 states until 2000. Until around this time last year, I had never really experienced derogatory comments for being an immigrant. It was nothing major, just a small incident that didn’t leave a huge mark but made me think about racism a little bit more in depth. I tried putting myself in the shoes the people that had to endured it for so long and remembered there are still those who endure it today. I hadn’t listened to Martin Luther King’s “I Have A Dream” speech until last year, either. I sat with my son and my daughter, and the three of us fell under his spell. Even though my kids didn’t fully understand his words, you could tell they got the message anyway. His speech is beautiful, touching and, so many years later, still as powerful. I will sit with them again this year and watch it one more time. If you haven’t yet, you should. It only takes five minutes.